Well maintained. Escape from the crazy city and RELAX. 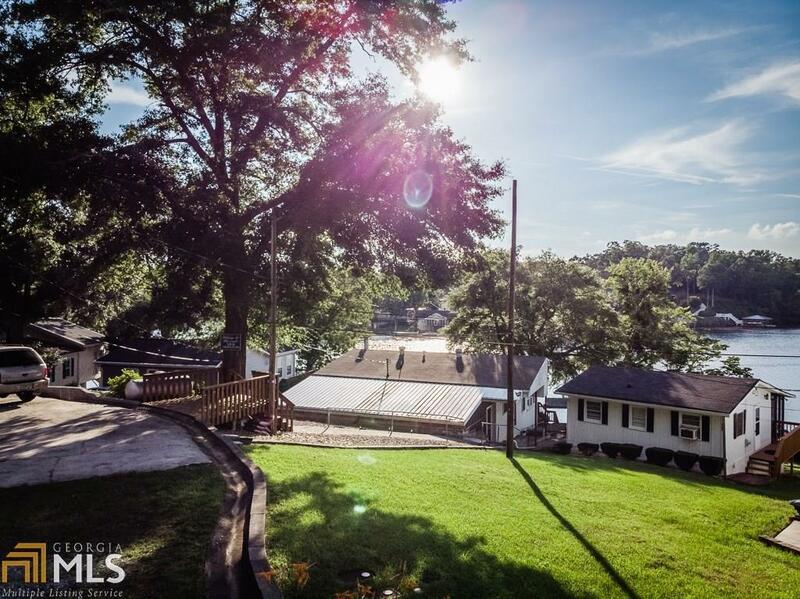 With a 3rd bedroom over boathouse, right on the water for amazing sunsets over the LAKE can look to the left for the Sunrise...all at one location. This is a rare find. Well maintained. Main home 2BR/1BA recently renovated with hardwood floors throughout, a 2nd outdoor kitchen, with a 12x 40 bulldog room, perfect for Game Day celebrations! Clean Deep Water at dock, Breathtaking views, Huge oak for afternoon shade, clean and crisp- low maintenance property! Come see it today! Use GPS if needed. County Line road to Alcovy and take a right. Look for Templeton on Left, follow the blue Lake Homes Signs.